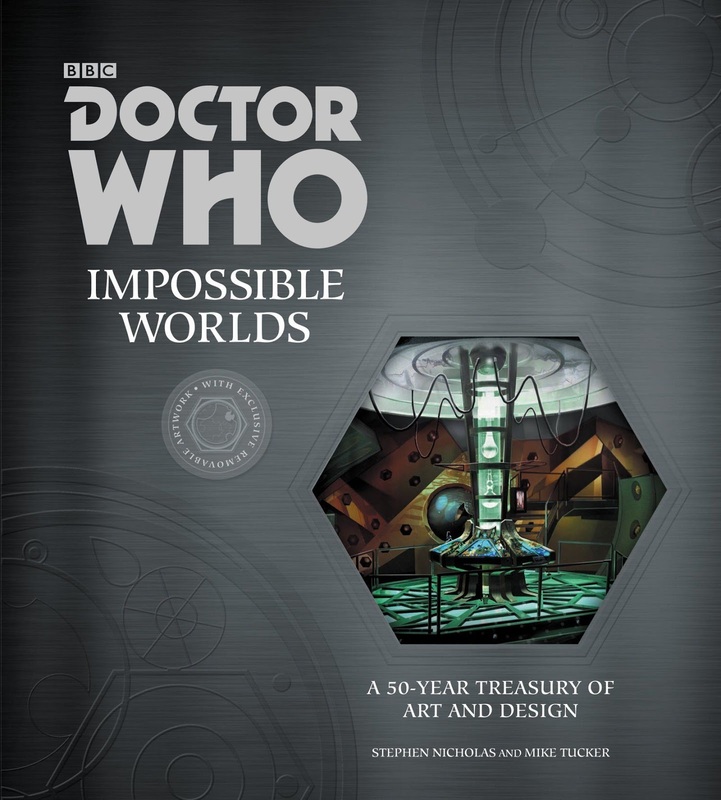 One of the great things about Doctor Who these days is that it is popular enough to sustain the sort of lavish, large format art book which, as a publisher, I can only dream of producing. 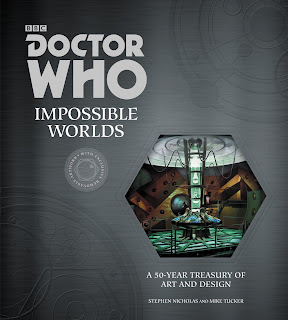 And this year, the must have book for Christmas is Stephen Nicholas and Mike Tucker's Impossible Worlds. But onto the book itself. 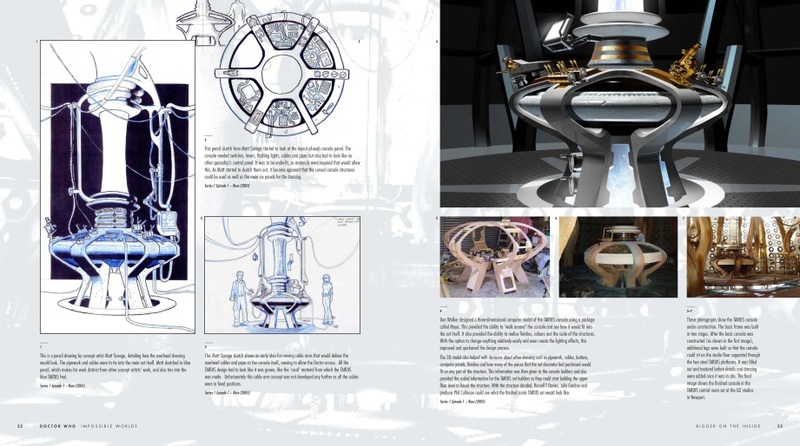 Stephen Nicholas has been the supervising art director for Doctor Who since the show returned in 2005, and so has access to an incredible array of designs and artwork for the show, each depicting the development of ideas, monsters, sets and spaceships which have then appeared in all their glory. Mike Tucker runs a company called The Model Unit, which specialises in detailed model work for film and television - and some of their work is so good that you would never know or realise that it was a model in the first place! 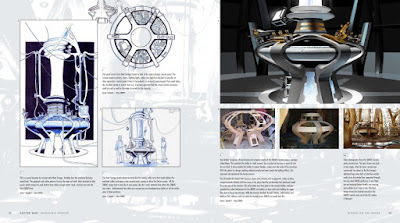 Together they have split the book into sections, each looking at a different aspect of the show: The TARDIS interior, Daleks, Cybermen, Sontarans, other Monsters, Tools and Devices, and alien planets; and in each case, there is a brief look at some of the elements from the classic series (*Disclosure here as I helped with sourcing some of the sketches and designs which are shown*) followed by a more comprehensive and detailed look at how the new series dealt with the elements. It's a brilliant book to flip through, to soak up the talent behind the props ... the ideas which didn't make it ... Personally I'm really fond of an artist called Alex Fort, whose designs never seem to make it to screen, but are the most original and artistic perhaps of them all. His Cybermen and Silurians are inspired ... maybe one day we'll see some of his visions on screen. 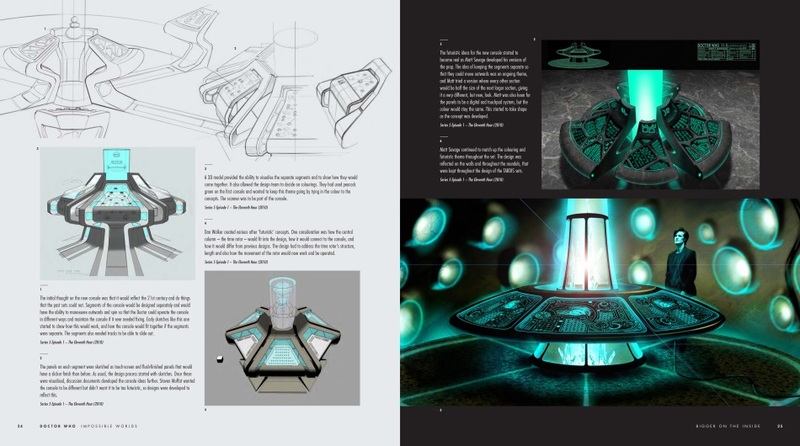 Oh, and if all that wasn't enough, there's a folder in the back containing several full colour art prints of some of the designs - incuding of the Zygon Control Room (or something) from the yet to be transmitted episodes on television ... lovely stuff! Top marks from me for this, then. A brilliant look at the art and concept design behind the show, highlighting just why Doctor Who is consistently one of the best looking shows on television.